Happy October! All month long I’ve been celebrating Halloween and if you’re like me, October isn’t the only month you like to pick up spooky reads. I’ve compiled a list of dark and strange book releases coming out in 2019 that have caught my eye. Be sure to keep your TBR spooky all year long with these wicked reads! Covers/Titles are linked to Goodreads. “Echo Ridge is small-town America. Ellery’s never been there, but she’s heard all about it. Her aunt went missing there at age seventeen. And only five years ago, a homecoming queen put the town on the map when she was killed. Now Ellery has to move there to live with a grandmother she barely knows. “Readers are well aware that Mary Shelley wrote Frankenstein: few know how many other tales of terror she created. In addition to Uncle Tom’s Cabin, Harriet Beecher Stowe wrote some surprisingly effective horror stories. The year after Little Women appeared, Louisa May Alcott published one of the first mummy tales. These ladies weren’t alone. From the earliest days of Gothic and horror fiction, women were exploring the frontiers of fear, dreaming dark dreams that will still keep you up at night. 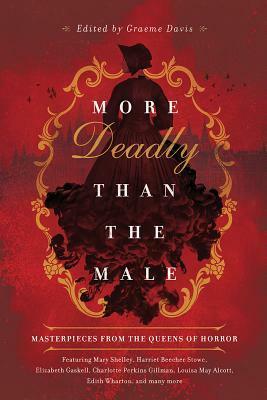 More Deadly than the Male includes unexpected horror tales by Louisa May Alcott and Harriet Beecher Stowe, and forgotten writers like Mary Cholmondely and Charlotte Riddell, whose work deserves a modern audience. Readers will be drawn in by the familiar names and intrigued by their rare stories. In The Beckside Boggle, Alice Rea brings a common piece of English folklore to hair-raising life, while Helene Blavatsky, best known as the founder of the spiritualist Theosophical Society, paints a picture of A Witch’s Den as vivid as any vision conjured up by the great pulp writers. Edith Wharton’s great novel The Age of Innocence won her the Pulitzer prize, yet her horror stories are known only to a comparative few. They locked the Beast away. After the death of her sister, seventeen-year-old Violet Saunders finds herself dragged to Four Paths, New York. Violet may be a newcomer, but she soon learns her mother isn’t: They belong to one of the revered founding families of the town, where stone bells hang above every doorway and danger lurks in the depths of the woods. Justin Hawthorne’s bloodline has protected Four Paths for generations from the Gray—a lifeless dimension that imprisons a brutal monster. After Justin fails to inherit his family’s powers, his mother is determined to keep this humiliation a secret. But Justin can’t let go of the future he was promised and the town he swore to protect. Ever since Harper Carlisle lost her hand to an accident that left her stranded in the Gray for days, she has vowed revenge on the person who abandoned her: Justin Hawthorne. There are ripples of dissent in Four Paths, and Harper seizes an opportunity to take down the Hawthornes and change her destiny-to what extent, even she doesn’t yet know. “Ivy Bloodgood’s mother is dead, and she should probably be sad about it. But she isn’t. Myra Bloodgood was confusing mix of protective and abusive, a manipulative personality who never told the truth—about where she came from, who Ivy’s father was, or why they were living their lives on the run. “Five friends cursed. Five deadly fates. Five nights of retribución. 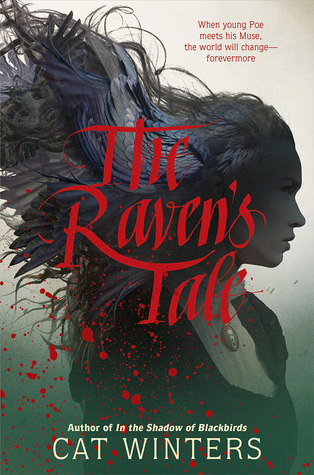 “A genre-bending epic horror-fantasy, inspired by the legend of Faust, spans generations as an ancient evil is uncovered—perfect for fans of Kendare Blake and Ransom Riggs. When Deena’s wild and mysterious sister Mandy disappears – presumed dead – her family are heartbroken. But Mandy has always been troubled. It’s just another bad thing to happen to Deena’s family. Only Deena refuses to believe it’s true. Do you like to pick up spooky reads throughout the year? Which creepy reads or thrillers are you looking forward to in 2019? Let’s talk in the comments! 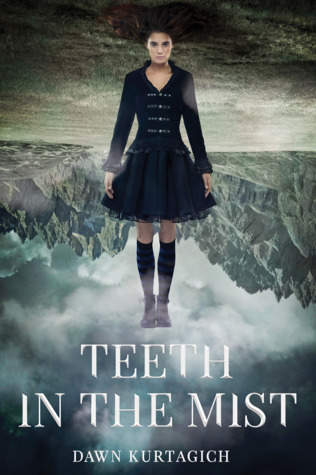 Teeth in the Mist and The Raven’s Tale are two of my most awaited 2019 – I’ve been waiting for something new by Kurtagich for SO LONG, while Cat Winters is one of my all time favorite authors. But there are so many great ones on this list, a lot I’m just hearing about this now – Ghost Squad had me at mentioning Coco, while Children of the River Ghosts sounds really unique and fantastic – can’t wait to see if the girl is in fact La Llorona. Loved this post! 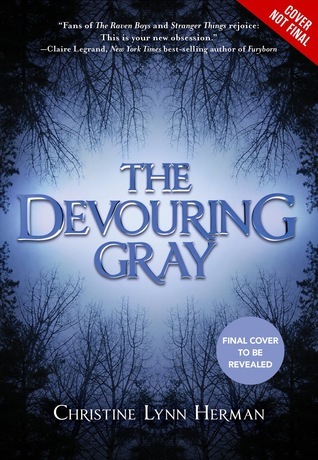 Doesn’t The Devouring Gray sound so dark and interesting? Yes to both of those authors! Two Can Keep a Secret is high on my list of 2019 releases. I enjoyed McManus’ last book, and think I will love this one too. I never got to her last book, but will probably try this one out next year. Thanks so much! I love Edgar Allan Poe, so I am so ready for this one. What an awesome list – I want them all! Thanks for compiling them all in one great place. I knew about a couple of these, but didn’t know that Moira Fowley-Doyle had another book coming out! I can’t wait for Devouring Gray! I feel the need for another Moira Folwey-Doyle novel so bad. Devouring Gray sounds so interesting. 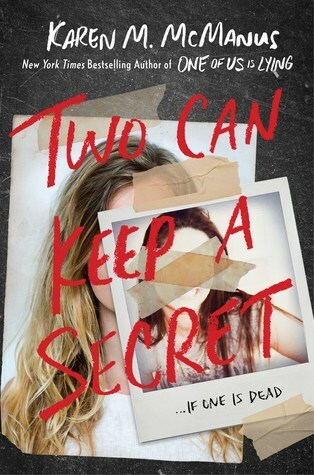 I can’t wait to read Two Can Keep a Secret! I really loved her last book so much. I never got around to her last book, but I am very curious about this one.